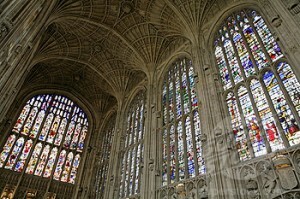 The stained glass windows lining the walls of Kings College Chapel in Cambridge, a place renowned for its annual authentic Carol service is a great place to start. As the picture below reveals, there is close attention to detail and multiple images on show in this mass display of colour. Another of England’s more traditional city’s Canterbury, also boasts a world famous cathedral that is glazed with impressive stained glass displays. 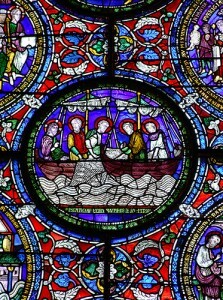 Most depict impressions of famous biblical stories, and none are more detailed than the illustration of Jesus and his disciples fishing, which dates back to medieval times. The stained glass windows in the unique Cathedrals of Liverpool reveal how glass can be shaped to fit buildings with contrasting architecture. 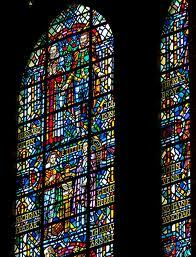 As the images reveal, the more traditional design of the windows in the Anglican Cathedral illustrate biblical stories and the fact that the building was pieced together over a long period of time. 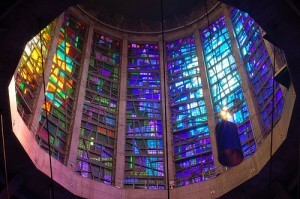 In comparison the tubular stained glass of the newer Metropolitan Cathedral expresses the ideals of 20th century architecture and reflects colourful light onto the alter below. Here at Pilkington we have a range of glass that includes decorative glass and we regularly supply householders who are looking for something different in their glazing with these products. Whether your home is a converted chapel or a ten-storey high apartment, we can provide both tinted and decorative glass that will inject colour into your windows and the rooms they adorn.